Ancho Reyes can also work well as a sweetener in hot toddies, coffees and hot chocolates, like this hot chocolate from JIMMY at the James in New York. And it can complement bourbon and rye whiskey, such as in the Pioneertown, a mix of rye, Ancho Reyes, sweet vermouth and amaro. 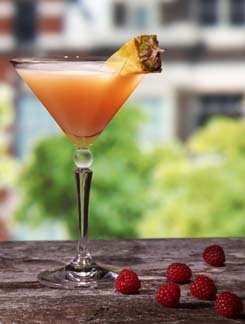 Similarly, in the A la Los Angeles cocktail from Anna Wingfield at Everson Royce Bar, rye pairs with Ancho, Carpano Antica, Amaro Angeleno and a dash of Angostura bitters. 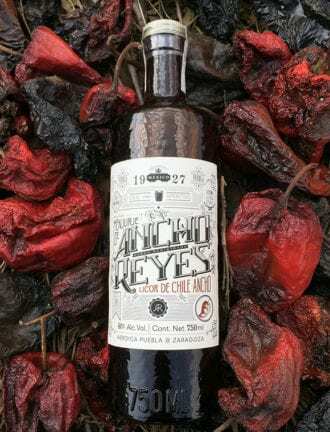 “I used Ancho Reyes to bring out the spiciness of the rye and add rich dark chocolate and honey notes (giving it a nod to the classic cocktail that uses Benedictine),” Wingfield says. “The subtle smoke and the chili spice of Reyes pairs with the bitter orange from the Amaro Angeleno.” And in the Cherry Bounce Slushee from The Phoenix Cocktail Club in Milwaukee, Wisconsin, Ancho gets blended with bourbon, tart cherry juice, lemon and blackstrap bitters to create “a novel balance of sugar, acidity and spice,” says beverage director Adam James Sarkis.